[ALENTEJO, PORTUGAL] — We’d spent our first day in Comporta at Pégo Beach, one of the best beaches in the area. Still a little jet-lagged after arriving the night before. We rented chairs and lulled ourselves to sleep with the waves while quietly reading/not reading our books. The sun was high, it was the end of June, but the steady breeze kept the temperature in the 70s. Unbelievably perfect. Families played beach games as we shake-and-baked in the soft warm sand — so opposite from the rocky beaches of France and Italy. Around about noon, my stomach growled. 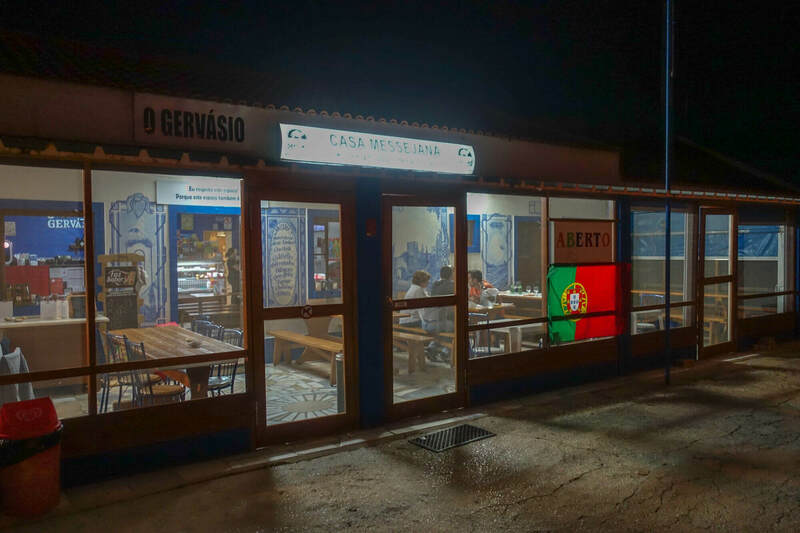 “I believe it is time for us to eat,” I said, knowing that one of the best restaurants in Comporta sat not 70 meters from where we were hanging out. 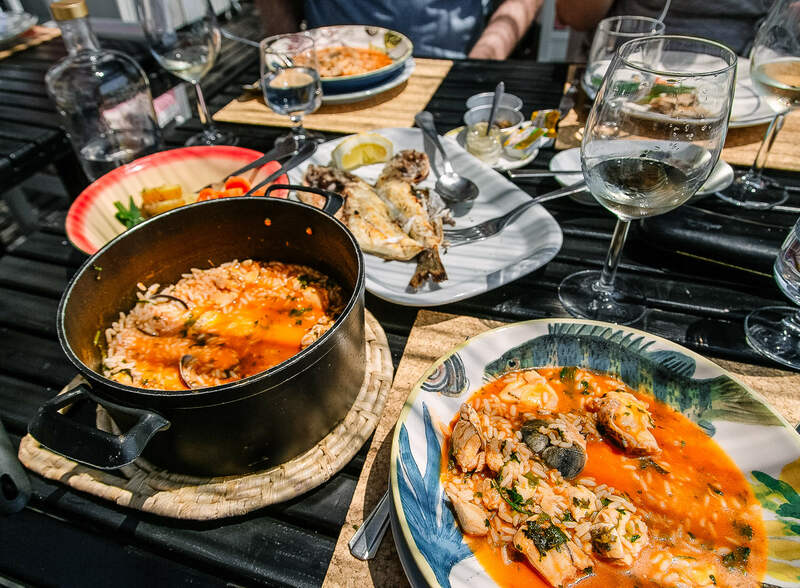 Coincidentally, the first time I had ever even heard about Portuguese food was twenty years earlier… with the same people I was now lounging on the beach with. But it was in a completely different country. Brazil. “Portuguese food? What’s that?” I asked, naive and flummoxed. He was right, it was. And now, twenty years later, here I was jonesing for some Portuguese food with these same people. 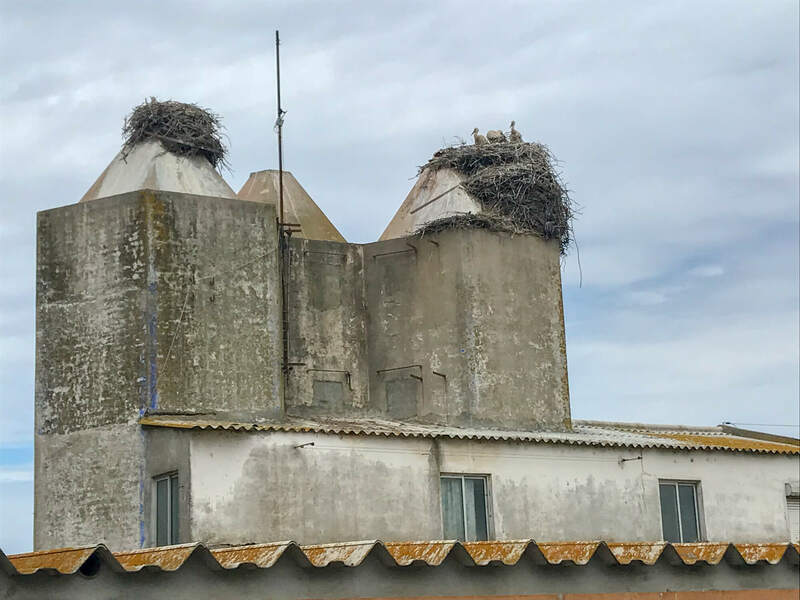 Now, in Portugal. 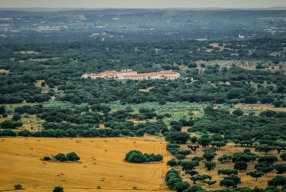 The whole area around Comporta is not just former rice fields, but active rice fields. To me, they kind of set the mellow mood for the whole region. Hectares and acres of brilliant green fields sunken behind the pine-topped dunes, the sun winking across the fields as you drive to a late dinner each night… the sun still up at 9pm. The hidden water under the shoots smiles back at you as you zoom by down the narrow roads. That rice growing heritage is reflected everywhere. 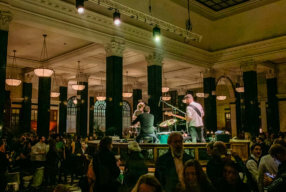 The menus at nearly every restaurant may sound kinda repetitive and boring — “Fish and rice” “Fish and rice” “Fish and rice” — but they were anything but boring, each place adding their own twist and their own ambiance to make each dish special. The menus at nearly every restaurant (so far) sound kinda repetitive and boring — “Fish and rice” “Fish and rice” “Fish and rice” — but it was anything but boring. Every one was different. 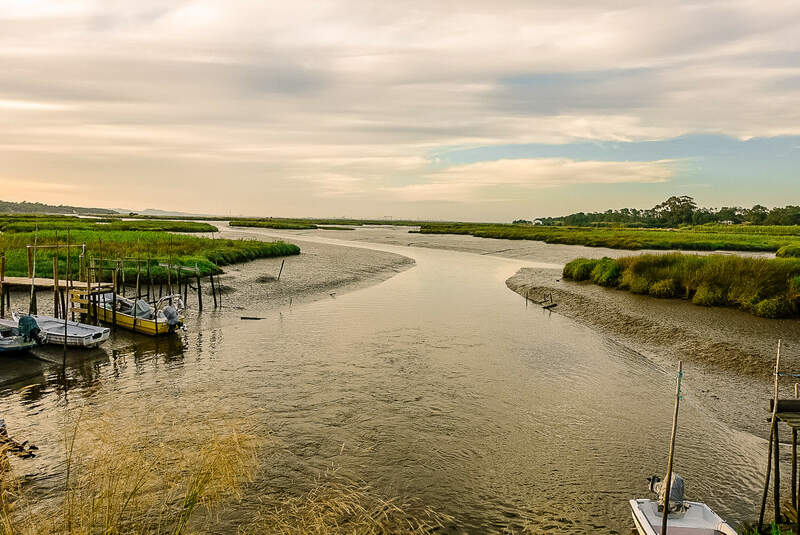 This whole big peninsula is set amidst a thick, mucky estuary that changes personality as the tides come and go. A treasure chest of fresh grilled fish, gigantic smelly shrimp and rich stews are ever-present. The whole place embraces its roots, not replaces them. That’s what makes it special. 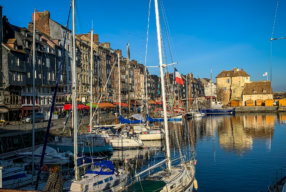 There are no big hotels, few hotels at all — if you come here, you’re most likely staying with friends or renting an Airbnb. No ostentatious mansions, just modern boltholes secreted in the cloaking pines. Like fins on a whale, you only get a glimpse of what’s there, but never really what’s beneath the surface. 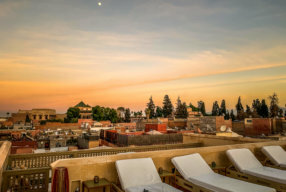 We thought we had oodles of time for our five nights here, but soon we realized we only scratched the surface. 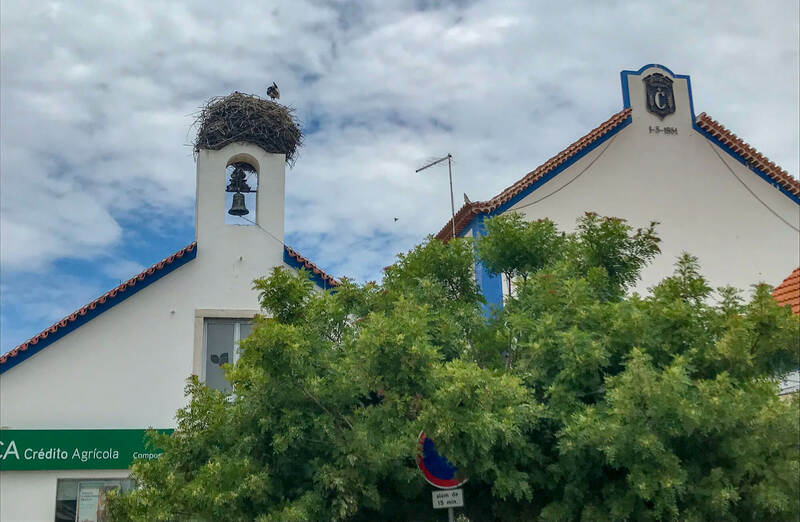 We didn’t make it to all the great places — like Dona Bia, highly recommended on every list but unfortunately closed for vacation the week we were there — but these are the best we found. 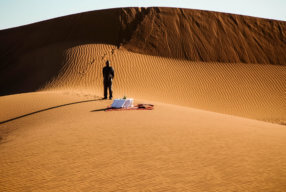 I’m sure there are others we missed, you’ll just have to come here to find out the rest. Here’s a rundown of my favorite recommendations. You Should Eat Here. 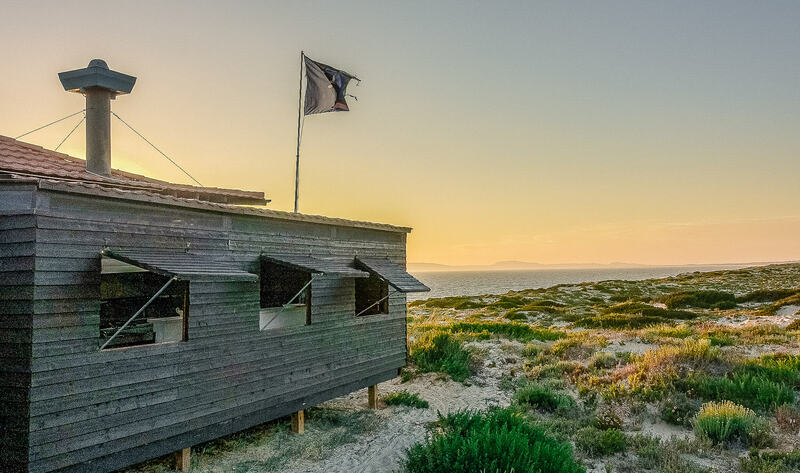 In nearly every article you read about Comporta, they all point out this remarkable “beach shack” restaurant right above Pego Beach. Restaurante Sal. Rightfully so. And it’s everything but a shack. We strode up the plank walkway at prime lunch hour, ready for a feast. 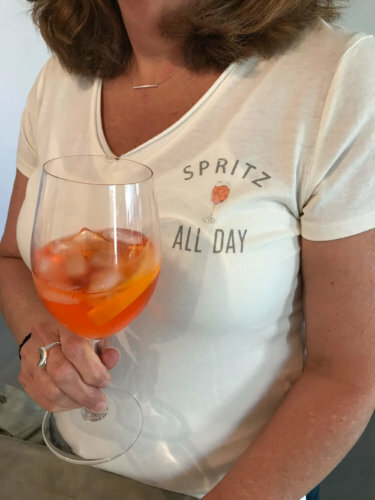 They hustled us through the restaurant to the deck outside, the ocean breeze cooled through the outdoor deck overlooking the ocean, big families dotting the tables in the shade, sharing big pots of food and bottles of wine. Fabulous food, great views, beautiful people watching. Feels a bit like La Huella in Jose Ignacio, Uruguay — my favorite place on earth. This is one of those places where you could eat here nearly everyday, it’s so perfect. And we tried our best, stopping in several times, for lunch and dinner. Restaurant Sal sits high up in the dunes above Pego Beach. Perfect for a bright lunch or to watch the sun go down. Yeah, this is what I’ve been waiting for for weeks. Fresh grilled fish. Big pots of spicy seafood stew. Cool glasses of wine from the area. The restaurant is busy all throughout the day. It’s an Institution. With families taking long lunches, kids running around. Music samba-ing in the ocean breeze. Super friendly waitstaff. Views, to die for. 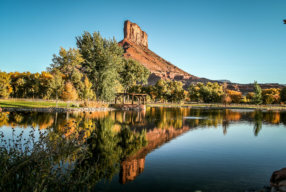 This is, without question, the place to be to watch the sunset. Some online reviews will talk about the mosquitoes, being eaten alive around dusk. But we were there in the first week of July, with a stiff cool breeze. Barely even noticed them. Collectively, we only had one bite between us during the week. Restaurante Sal is perfect beach restaurant, with killer views to match the good food. You can, and should, come here multiple times during the week. Nearly perfect, it reminded me of my favorite restaurant in the world — La Huella in Jose Ignacio Uruguay. I could eat every meal here. Just so fun to watch big groups of people on holiday, smiling like us at such a great location. 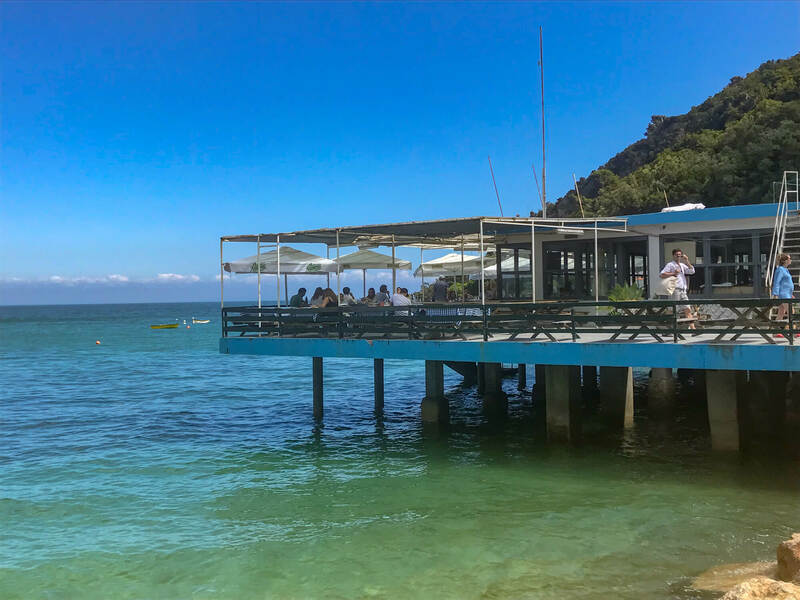 Restaurante Sal is perfect to cool off in the shade during the hot daytime or soak in the warm sunset, with perfect views over the beach and sea. Fresh octopus salad, caipirinhas and Spritzes in the flickering shade… good lord…. 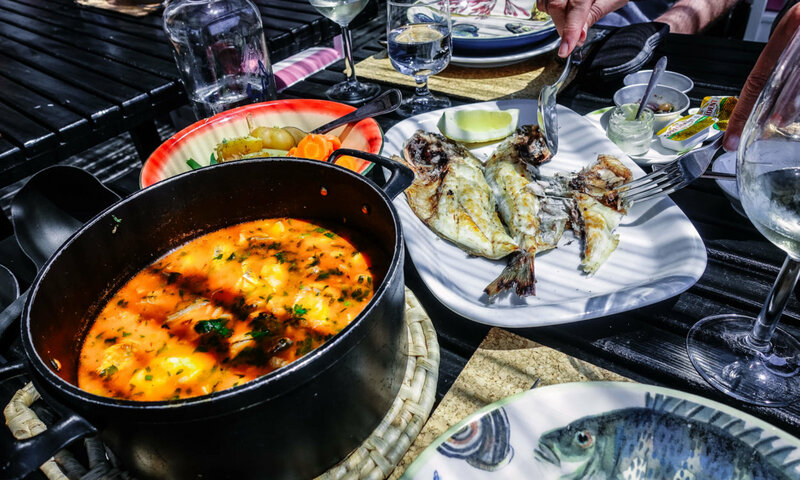 …and always the perfect fish stew. 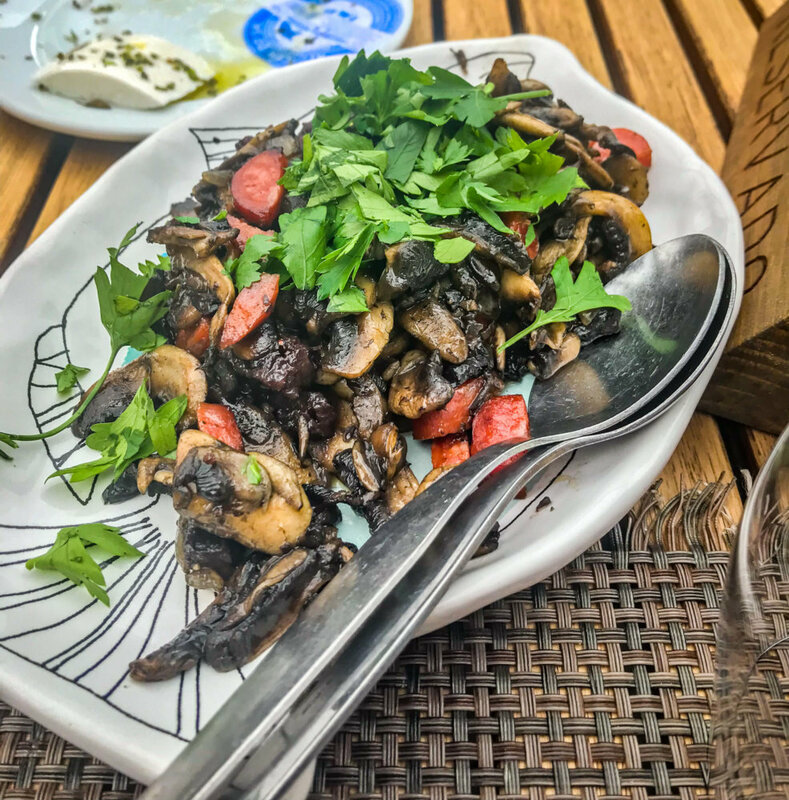 A lot of restaurants in Comporta are homey and rustic, but Cavalariça was elevated Portuguese food, practically Michelin-calibre. Cavalariça in the middle of the town of Comporta, Portugal. 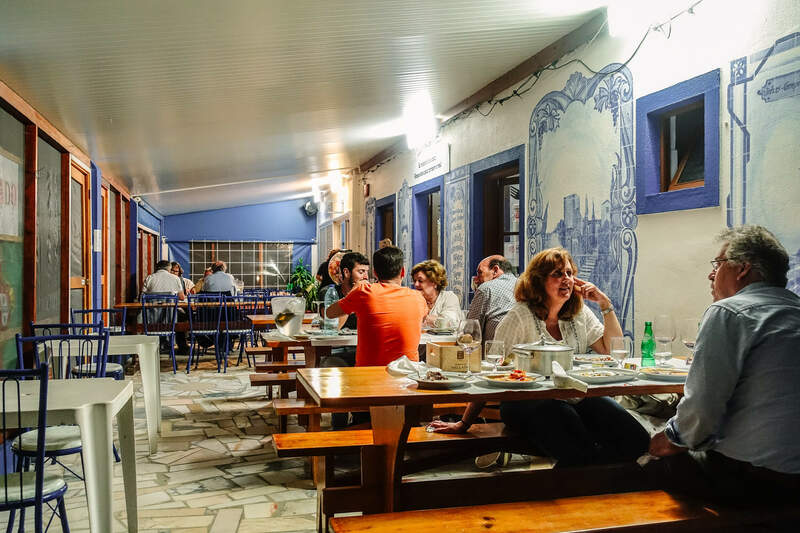 Cavalariça means “stable” and the place is in a former horse stable, with booths tucked into the original stalls, including all the original fittings and hay racks. Puts a whole new literal meaning to the phrase “strapping on a feedbag”. This was my favorite food so far, most places around here are tradtional food, but this stuff was Michelin quality and inventive combinations — like cottage cheese gnocchi and “potato chips” of deep-fried galette of potatoes and lardo, deep fried to crispy. Everything was a surprise. 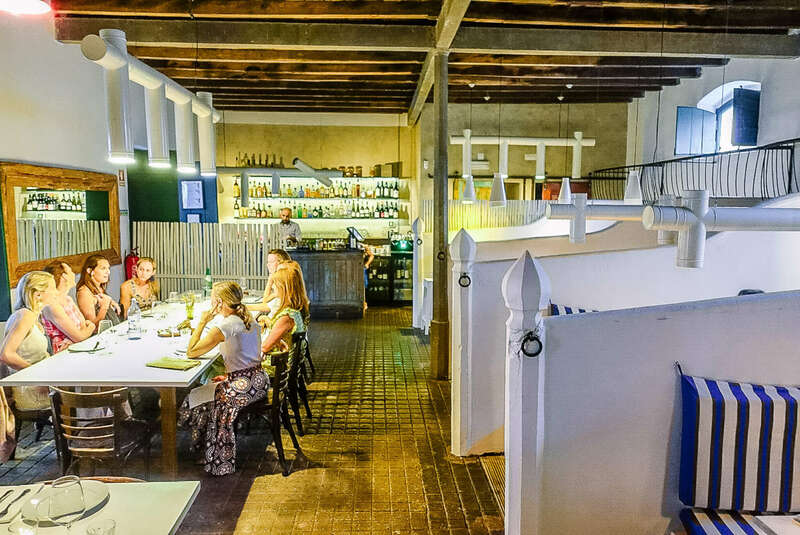 Cavalariça is built in actual former horse stable, with booths tucked into each stall. Really beautifully lit and top design. Very inventive dishes. A surprise in every bite. …. with one dish after another, with amazing combinations. So cool how they kept all the old equestrian equipment. 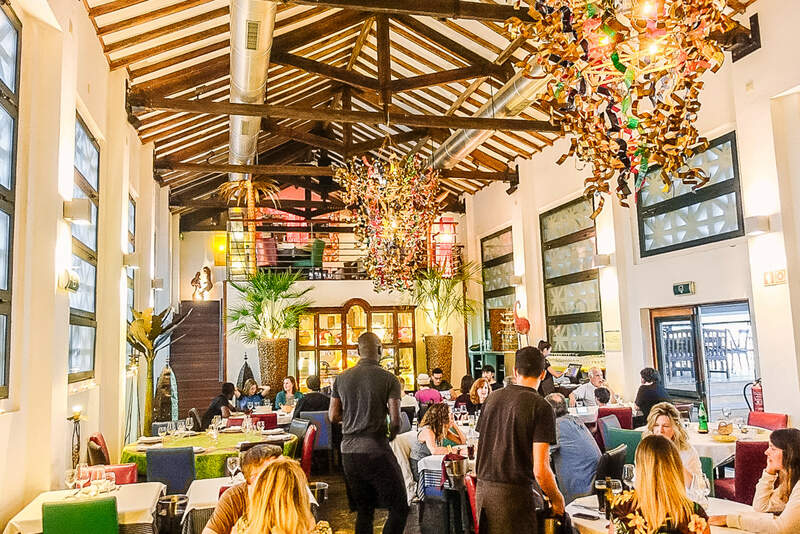 Museo do Arroz is a great place is also on everybody’s Best list. 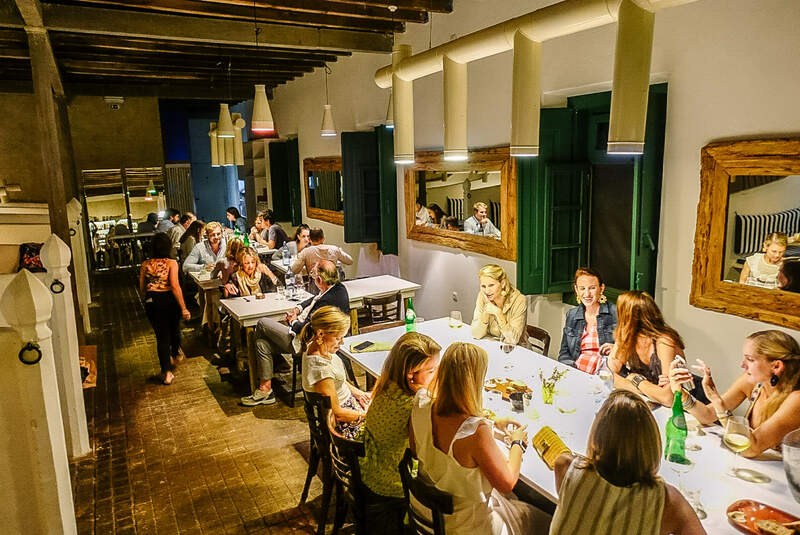 A former rice factory turned restaurant, right outside of the village of Comporta. 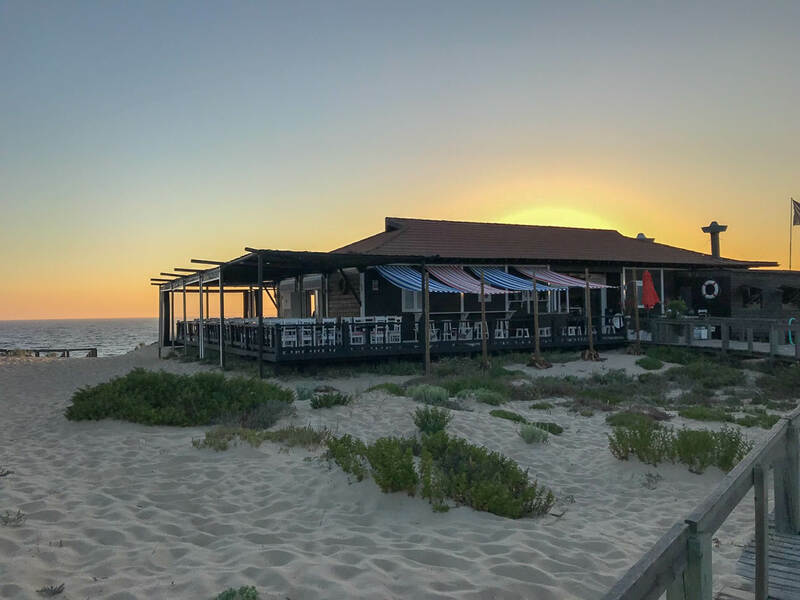 The restaurant is right outside the town of Comporta, smack dab in the middle of the former rice house, surrounded on all sides by the estuary. This is a big place, but also famous, so probably best to book reservations, especially on the weekends when all the Lisbonites come down. This is a big operation, with lots of tables and fast service. The food was pretty good. 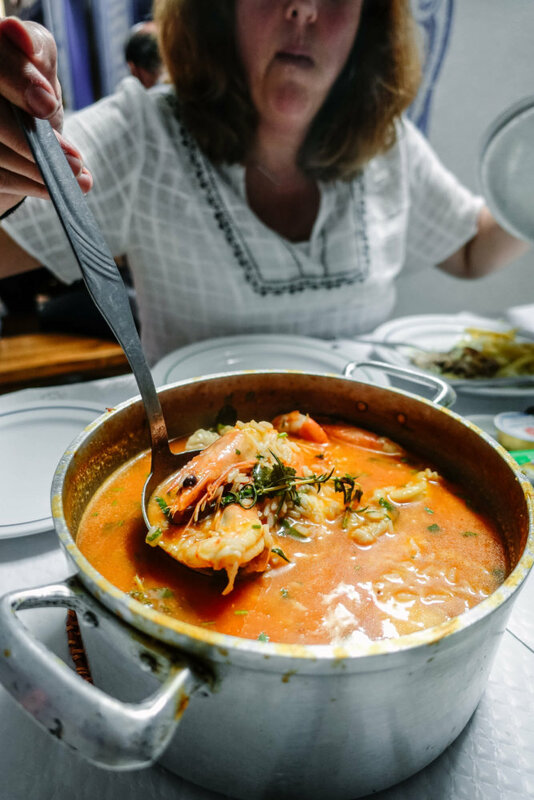 You see the signs for O Gervasio right off the main highway that drives along the coast, turn in and drive to the end of the road before it disappears into private houses bordering the rice fields. This is a much more rustic “fish shack” with most sitting right out in the screened in porch. The people were super friendly, directed us what to order and we totally loved it. 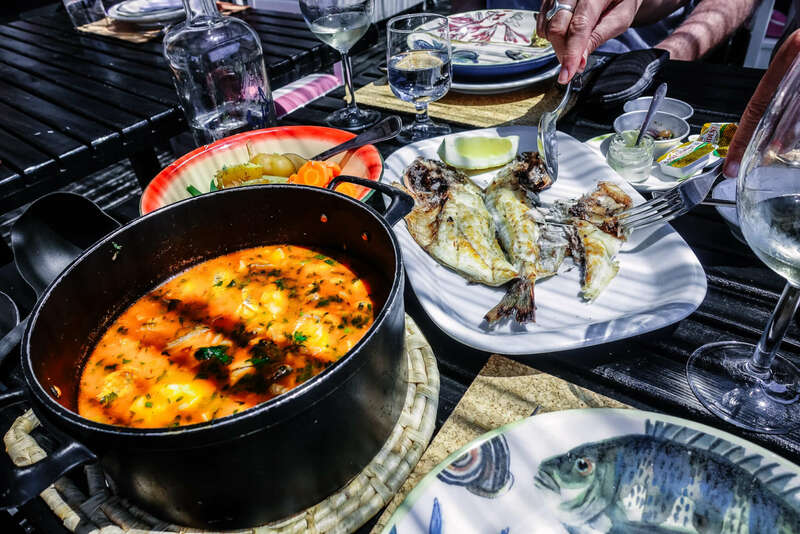 Great grilled fish, big pots of stew. Cold beer. Most everyone just sits right outside in the screened in porch. The lighting reminded me of places in Brazil…fluorescent, But it worked! I could eat this every day. So good. Not much to look at, it’s pretty rustic, but that’s why everyone loves it. And the food is fantastic country cooking. Feels very much like Brazil. 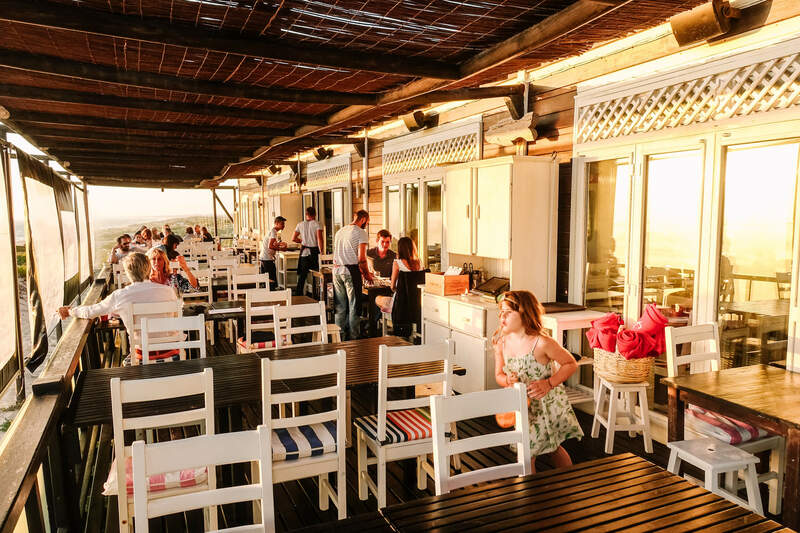 Comporta Cafe is another beach restaurant on everyone’s top lists. It gets very busy since it’s closest to town, so recommend reservations. 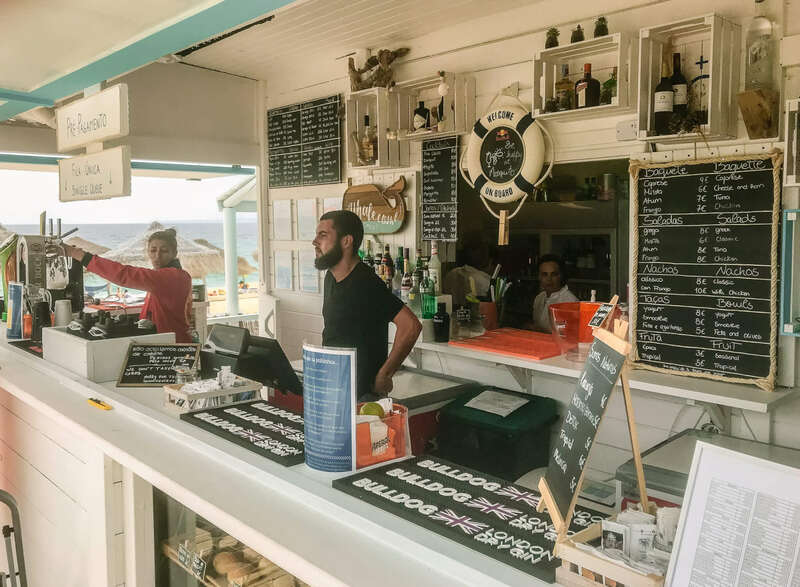 Cafe Comporta sits just above the beach, perfect for taking a break from the sun to grab a spritz and a bite. It’s a little more modern and doesn’t have quite the character as Sal, but everything was awesome. There are loungey chairs outside so you can view the sea. One thing you see a lot of is pork cutlets with oranges. I’m going to have to try it at home. This was our motto for the week. 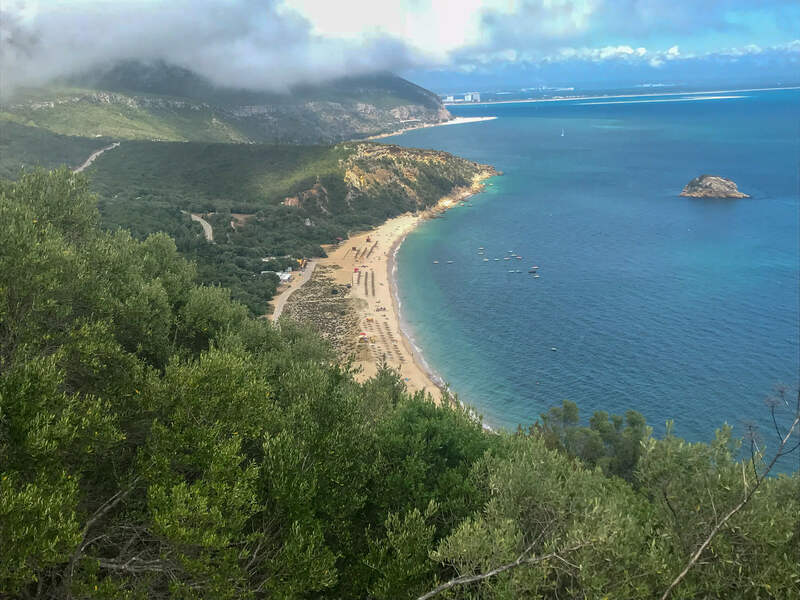 On our last day, under cloudy sky we went exploring on a ferry across the estuary to the Arrabida natural park on the Sétubal Peninsula. It was nice, but would suggest going after your second week in Comporta, not first. We a surprisingly nice lunch in Portinho and took the ferry back to full sunny sunset. Here is Comporta Cafe’s website. And Restaurante Sal’s website. And Calvalarica’s website. 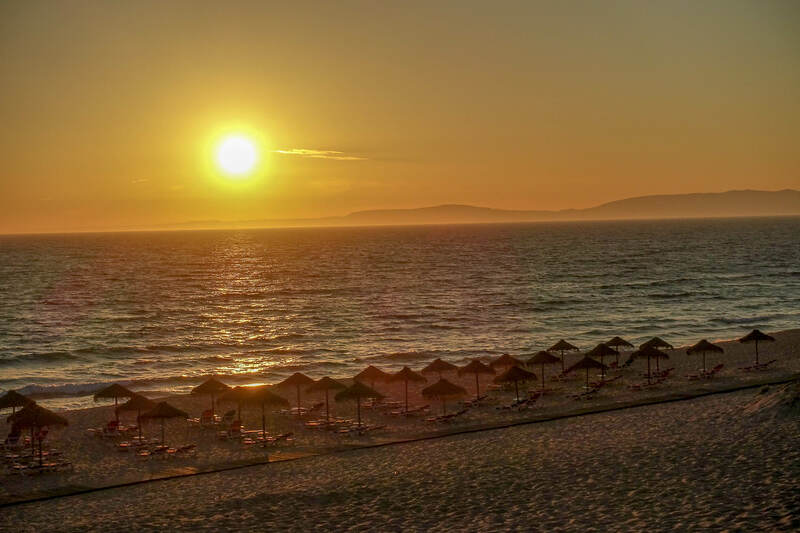 And TripAdvisor’s top Comporta restaurants. And an awesome restaurant guide in Portugal Confidential’s great website. Here’s a link to my other post on the best beaches in Comporta. You are the best, Pete. Yes, I think you would love it. Let’s.